E-COMMERCE BUSINESS:- E-Commerce refers to a wide range of online business activities for products and services. It also pertains to any form of business transaction in which the parties interact electronically rather than by physical exchanges or directs physical contact. Doing business online is known as e-commerce. 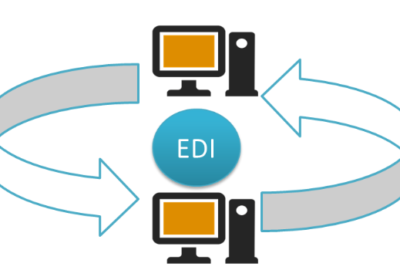 E-commerce describes the buying and selling of products, services, and information via computer networks including the Internet. E-commerce is defined as a modern and business methodology that addresses the desire of firms, consumers, and management to cut costs while improving the quality of goods and increasing the speed of services. E-commerce is a particular type of e-business initiative that is focused on individual business transactions that use the Internet as a medium of exchange, including business to business, as well as business to consumer. E-commerce is buying and selling, marketing and servicing and delivery and payment of products, services and information over the Internet, intranets, extranets and other networks, between an inter-networked enterprise and its prospects, customers, suppliers and other business partners. Buying and selling of products. 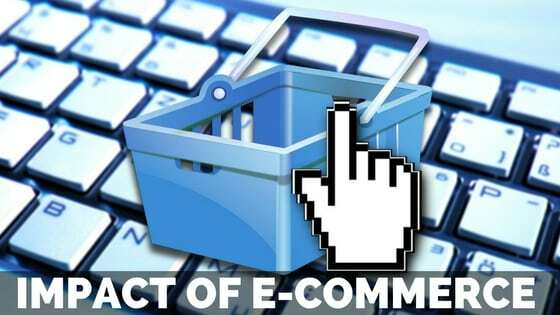 All these functions are without human intervention, which is termed as real ‘E’ in e-commerce. E-commerce is a range of online business activities that include explaining products or services and providing a mechanism for customers to buy those products and services from a website or internet and it encompasses online shopping and online purchasing. Impact on tax, trade and regulatory policies. Impact on employment and Labour policy. Due to privacy concerns, customers may intentionally provide incorrect information about themselves while shopping or surfing on the internet, thereby creating problems by having wrong information recorded in some database. Incorrect information can cost a job, opportunity or denial of a bank loan or mortgage. If the information is not verified properly, it can lead to drastic results. The verification of information by cross-referencing can lead to positive consequences for both individuals and the organization. The interactive and multimedia nature of e-commerce technologies provides tremendous opportunities for children to access resource to attain an educational goal. At the same time, it presents unique challenges for protecting the privacy of young children. During their online buying, children may innocently provide information that can lead to receiving undesired material or junk mail. This adds another burden for parents to monitor their children’ surfing on the internet. Since e-commerce transcends geographical boundaries, many big firms with known brands may not only expand their markets but may also enter into new business activities across the broad spectrum of business activities. This may help to reduce the costs and price but it would have a greater danger of creating a monopoly of e-commerce by a few corporations or network of corporations. E-commerce has a strong impact on taxation and tax policy. It has the potential to undermine the application of domestic and national tax rules. Tax planning for an e-business differs from tax planning for a traditional bricks-and-mortar company. The growth of e-commerce is likely to have both direct and indirect impact on labor markets as well as the composition of employment. Faster rates of innovation and diffusion may create more knowledge-based products. This will lead to a shift in the composition of workers required to produce and deliver a product or service. There would be a shift in kind of skills needed. E-commerce has a potential threat to the security of consumers’ personal information. 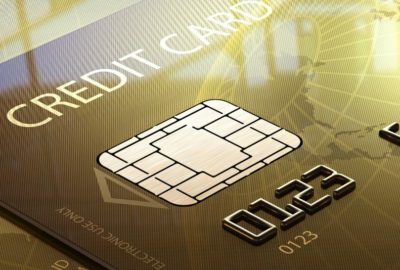 When consumers buy online, they typically input a credit card number and other personal information. Unauthorized personal could access this information through flaws in the merchant’s computer system. Security refers to the integrity of the data storage, processing and transmitting systems. While buying online, people naively believe that their communication id private and secure. But in any case, that is not true and messages are insecure and vulnerable to hackers. Privacy is defined as an individual’s right to be left alone, free from interference or surveillance from other parties. Privacy has become a key issue as technological advances make it easy for companies to obtain personal information and to monitor online activities of the customers. Most companies collect information about the visitors who visit a company’s website. Files such as “cookies” are planted on a computer by the websites that are surfed so that they track down the details of users; the surfing patterns of visitors; develop individual profiles of online customers. Customers feel that organizations collect too much private information and may attempt to sell it to a third party of potential marketers. The use of e-mail in the workplace produces many conflicting opinions in terms of its use and abuse both by the user and the services provider. This causes confusion with the legal and ethical guidelines that must be followed with this communication medium in order to maintain both the rights of the user(i.e. privacy) and the rights of the services provider (i.e. monitoring). The primary goal of a compromise the company’s best interests. However, providing managers with the means to monitor their employees can result in an abuse of power. E-commerce technology is eroding personal privacy because consumers have no control over their personal data that the merchants have captured during their shopping experiences. In additions, the record-keeping systems of the merchants are the not regulated or restricted. People fear that if the trend of collecting information continues, they may lose their individuality since they would have no control over the information about them. Using e-commerce, the time required to create, transfer and process a business transaction between the partners is significantly reduced. Also, the human errors like duplication of records are largely eliminated with the reduction of data entry and re-entry in the process. This improvement in speed and accuracy result in increased productivity. 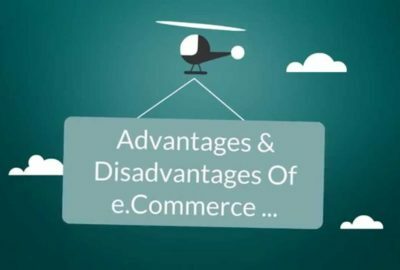 E-commerce can reduce costs for consumers when companies cut down on middlemen involved in distributing goods, warehouse space to store the goods and personal expenses. Businesses over the internet have global customer reach. There are endless possibilities for businesses to exploit and expand their customer base. E-commerce also enables companies to manage their inventory better. Customers can enjoy the convenience of shopping at anything and anywhere in the world. E-commerce also Provides the customers with choice, information, convenience, time, and saving with improvements that add value to their shopping. E-commerce provides an opportunity for better interactions with partners, suppliers, and targeted customers for services and relationships.